This is a full residential retreat. 5 Days of Bhakti Yoga sadhana chanting the Divine Names, learning Hanuman Chalisa, Bhakti Yoga Sutras, Gayatri Rituals, Esctatic Kirtans and Harmoniums Basic . With a perfect combination of Thai Yoga Massage, AcroYoga and Bhakti Pranayama. We come together to celebrate life immersed in a Bhakti Spirit, be in The Bhav. This Bhakti Camp is for those who wish to enhance their Yoga teaching, Yoga Practice with chanting, devotional practices and those who simply wish to immerse themselves in the vast ocean of Bhakti. 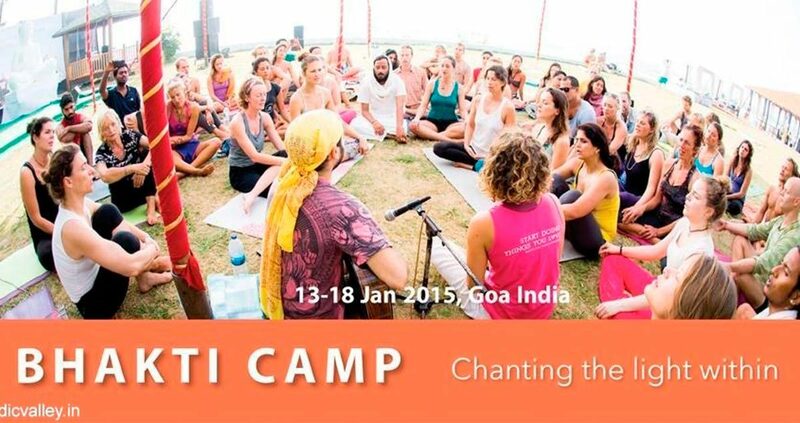 In this retreat we will share some of the many t…ools that are in our Bhakti practices. Our hope is that everyone will leave this camp with the experience and that we are all able to dive into this world of devotion and sing and share our hearts with others.